I am just CRAZY for pie. 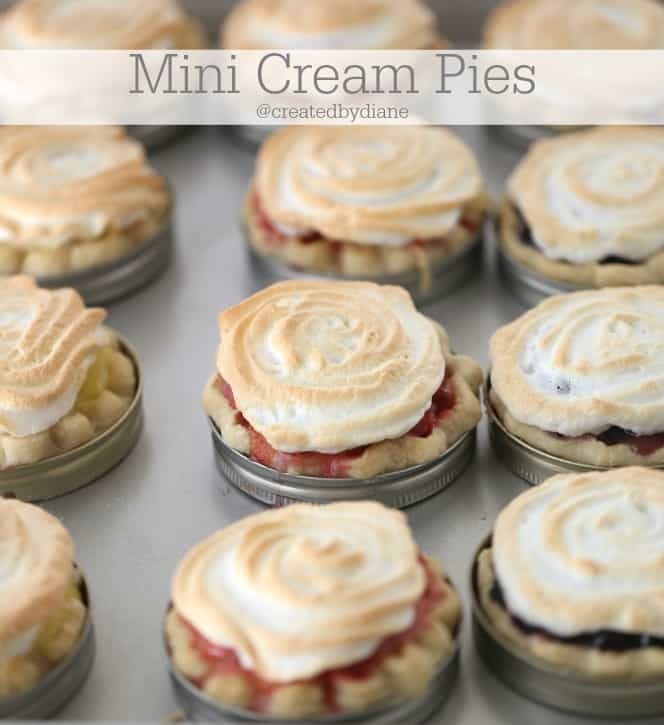 Really, it has always been one of my favorites…now these mini pies are just ADORABLE. Take a look how cute and the fun flavors I made. Pin this on Pinterest on your dessert board, or PIE board….I have one of those. I made a whole bunch of fruit pies and they were so fun and really DELICIOUS! As everyone saw me making pies, and they all had fun telling me just what type of pie they wanted. To accommodate everyone I made MANY PIEs, in a few different fruit flavors. 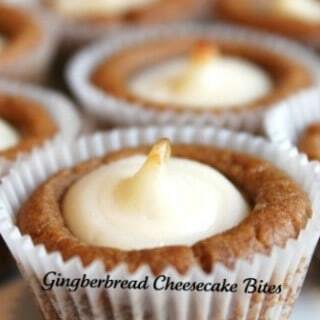 They were equally enjoyed, so you can make different varieties or focus on your favorite when making them! I topped the pies with meringue, but if meringue isn’t you thing, you can top them with whipped cream or serve them with ice cream or plain, and sometimes….plain is great. This would be one of those times. Bright red raspberries fill these pies with deliciousness. 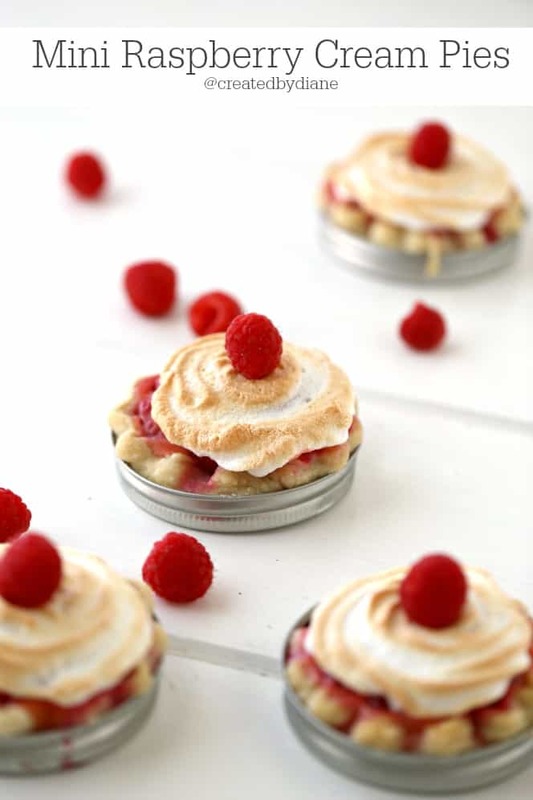 After the meringue is baked you can top each pie with a raspberry, to tell everyone just what the filling is. 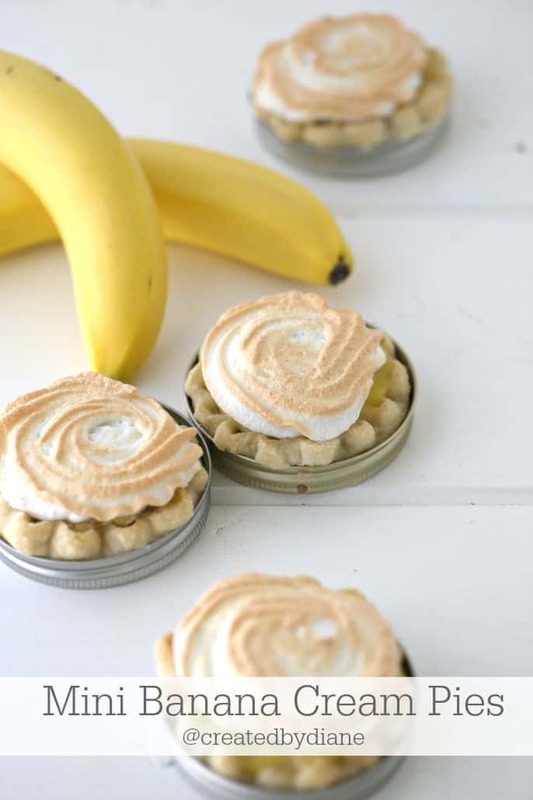 Oh banana cream pies….these are smooth and creamy and oh so delicious. Perfect for the banana lover in your life! Blueberries as far as the eye can see. I just love blueberries and remember always going blueberry picking when I was a kid. You will find information on How to make Meringue Here. Meringue is best baked on warm filling, it won’t separate from the filling when the pies are chilled. Whipped Cream is also a great topping on pies, just whip 1 cup cold heavy cream with 1 tablespoon powdered sugar. Spread or place a dollop on top of the pies and you are all set to serve them. This works great if the pies are cold. 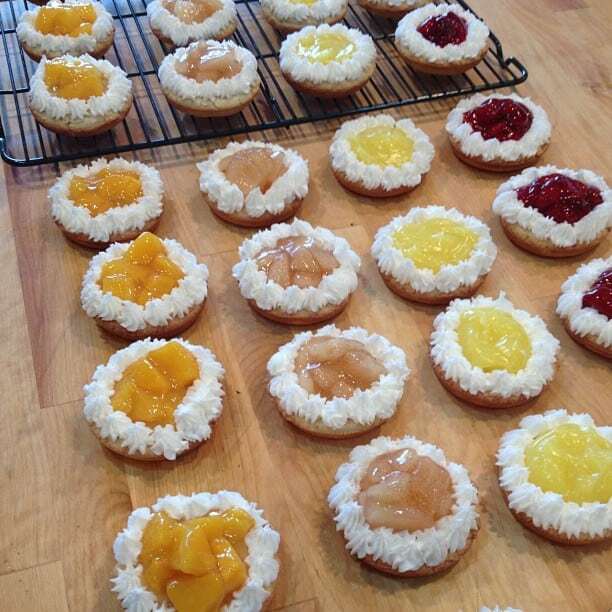 If you like COOKIES, take a look at these Mini Fruit Pie Cookies. 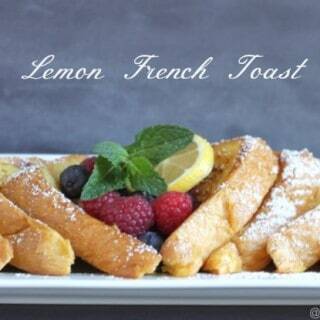 In medium saucepan whisk sugar, cornstarch, water, egg yolk, butter, lemon juice, salt and vanilla together. Pour filling into baked pie shells. 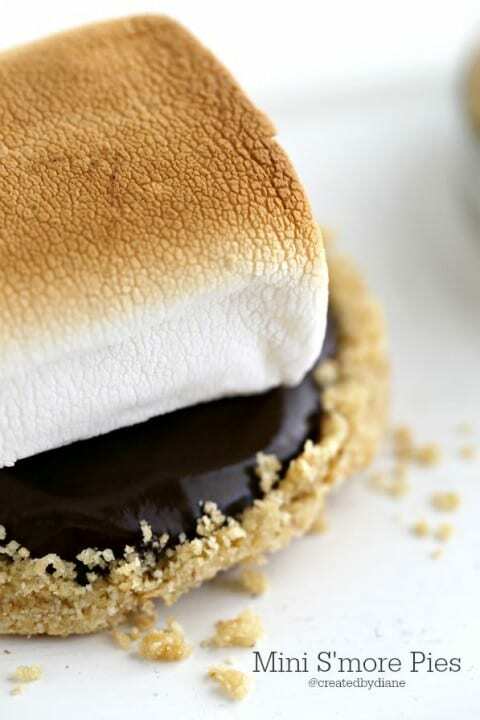 Top with meringue and bake at 350 degrees for 10 minutes or until the meringue is cooked and lightly brown on edges. 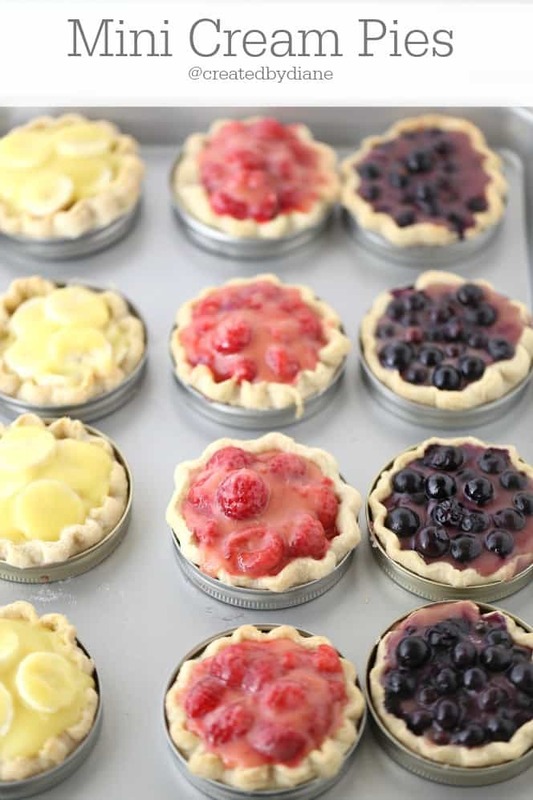 Refrigerate pies once they are cooled. Garnish with a fruit before serving. Alternatively you can top the pies with fresh whipped cream, but if making them a day ahead I've found I like the meringue topping and adding fresh fruit the day of serving. Any time of year you can enjoy these fresh fruit pies, you can sub in any fresh fruit you like! 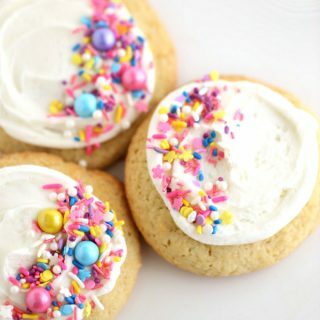 CLICK here to see how to make these great pie cookies. So cute! I love these. Who needs a huge piece of pie anyway? Portion control at it’s best. These are so wonderful Diane! Beautiful, just the right size, colorful and downright adorable! Sharing! These are just ingenious — I don’t know which I want to try first! Do you think jam would work as well? So when you put the boiled mixture into the crust and then it says to top with meringue and bake…what if you don’t use meringue? Do you still bake the pies for 10 minutes? Have you used frozen berries? I haven’t but you certainly can. You just may need to boil it another minute or two to reduce the extra moisture. 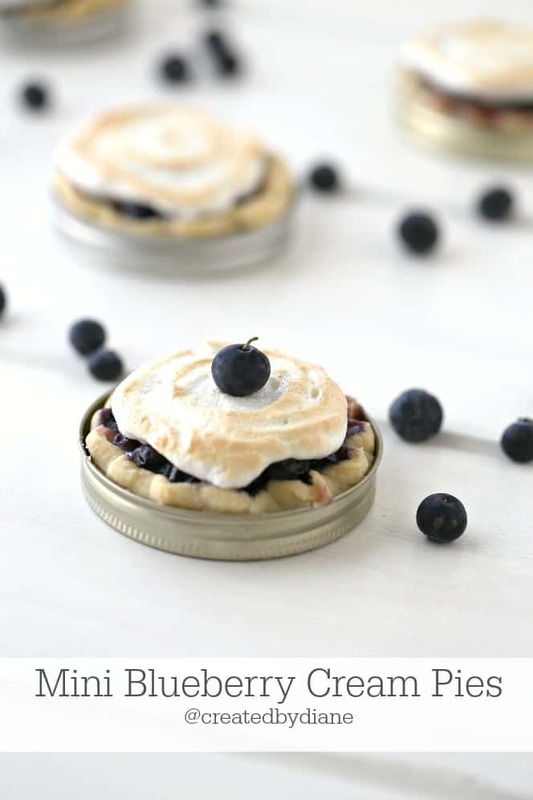 I do make blueberry pies with frozen blueberry all the time and they are delicious, so go right ahead and let me know how they turn out. How many pies does one recipe of filling make? And what did you use to flavor the banana pie? It looks more like pudding than your recipe would suggest. the portions filled 4 mini pies (there was a small amount extra but I recall it being not enough to fill another pie) the fillings are all pudding/cream fillings. the banana is a thicker fruit than berries and does cook up creamier than blueberries or strawberries. Tremendously! 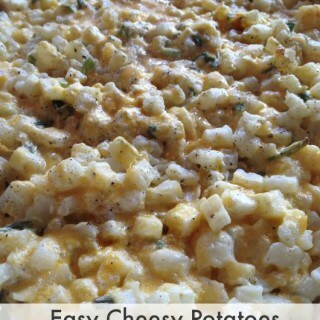 The amazing recipe, Me and my family really enjoyed this recipe, and now i am making the different recipes from your site at weekend. Thank you Diane.